Below you can view all the homes for sale in the Jacksons Creek subdivision located in Marietta Georgia. 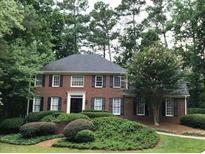 Listings in Jacksons Creek are updated daily from data we receive from the Atlanta multiple listing service. To learn more about any of these homes or to receive custom notifications when a new property is listed for sale in Jacksons Creek, give us a call at 404-998-4102. Convenient To Historic Roswell/Shopping And Short Walk To Chattahoochee Nature Preserve & Roswell River Boardwalk.Active Swim/Tennis/Lake Community W/Award Winning Schools. MLS#6535897. Re/Max Around Atlanta Realty. This Is The One You'Ve Been Waiting For! MLS#6511816. Century 21 Connect Realty. Fresh Exterior Paint. Large Back Deck. Koi Pond. 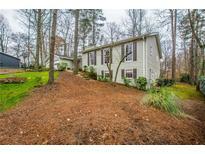 MLS#6108667. Advance Equity Group, Inc..